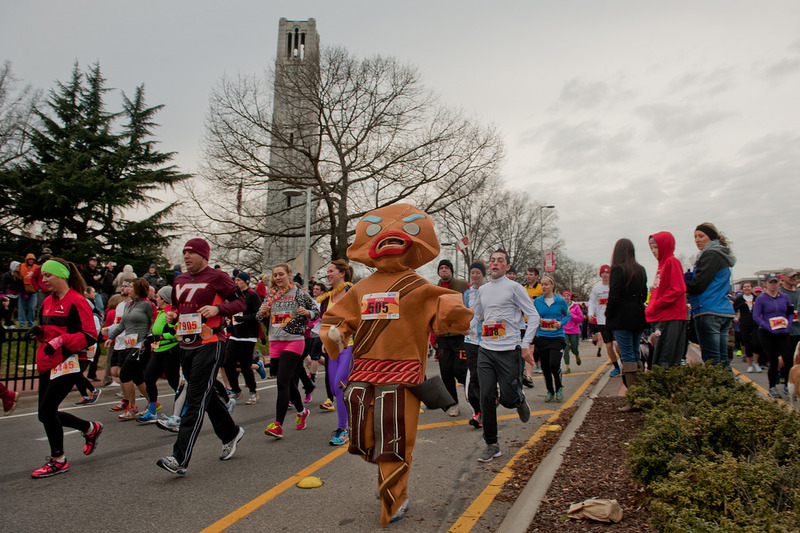 For NC State students and local Raleigh residents, the time has come for the 15th annual Krispy Kreme Challenge! 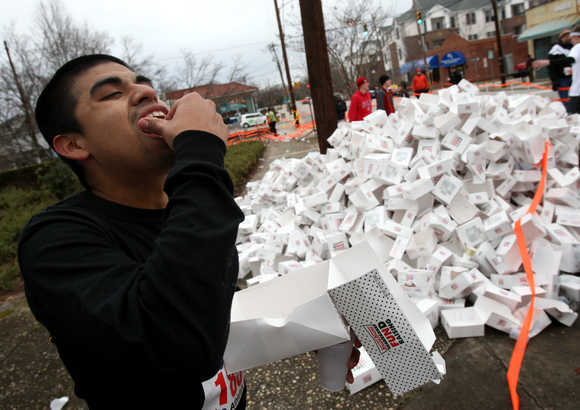 The Krispy Kreme Challenge, which returns to Hillsborough Street on February 2, is an annual charity event in which participants run a 2.5-mile road course leading to a Krispy Kreme Doughnuts shop, eat one dozen doughnuts and run back to the finish line in under one hour. This NC State student favorite happens once a year in benefit of UNC Children’s Hospital. What once started as a dare between a few Park Scholars in 2004 has made this organization the largest unrestricted donor to UNC Children’s, which is one of their biggest accomplishments. “UNC Children's is an amazing organization -- they serve all children regardless of their families' ability to pay and they have an accredited school program inside the hospital so patients can keep up with their studies and return to school with their friends," says Hannah Bain, head of marketing for the Krispy Kreme Challenge. What makes this event unique, you might ask? Apart from having such an interesting start, this event is completely organized by students and brings both students and adults together from all over the country. With an average of over 400+ volunteers and 5,000+ runners on race days, the Krispy Kreme Challenge has raised over $1.5 million to date. 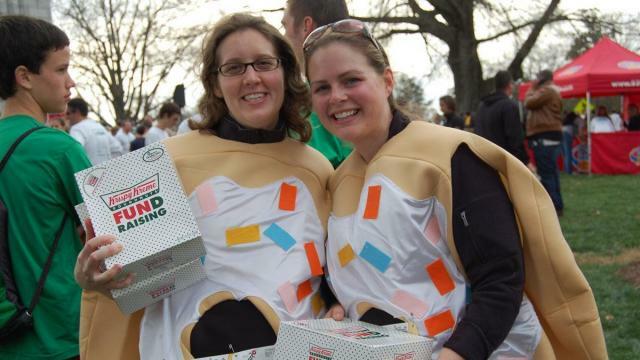 Although the event is called “The Krispy Kreme Challenge,” participants aren’t forced to treat it as such. There are different categories created to accommodate people of all ages and ability. There is a "Challenger" category for the people who want to attempt the challenge, a "Casual" category for people who want a box of doughnuts but don't want to take on the challenge of eating them all, a "No Doughnut" category for people who want to be part of the race but don't want to participate in the donut-eating, and a "Virtual" category for people who can't make it to Raleigh for the race. Wherever your interest lies, whether runner or volunteer, don’t miss out on an opportunity to help out a great organization that helps children. 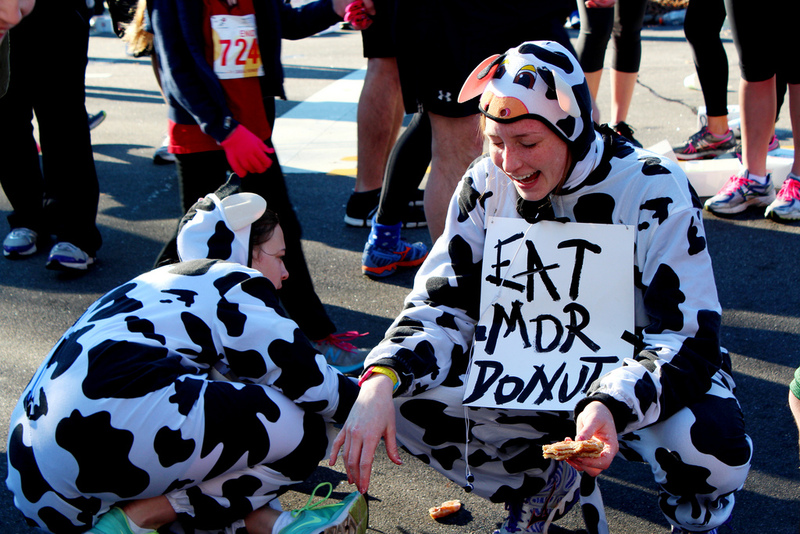 Additionally, the Krispy Kreme Challenge has partnered with Reborn, a student-led NC State startup, this year. They are going to be selling items like koozies, picnic blankets, and cinch bags by repurposing old Krispy Kreme Challenge t-shirts. It’s not too late to sign up! To sign up as a runner, click here. To sign up as a volunteer, click here. Race day this year will be on February 2nd, 2019. Click here for information on time of road closures. 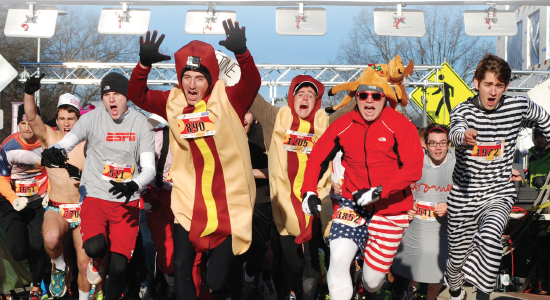 Check out some these images from past races and sign up now!